Donna is a passionate and committed Māori leader in the addiction (Alcohol and other Drug [AOD] and Gambling Harm) sector, who actively promotes and protects mātauranga Māori as best practice in organisational and service delivery. She understands her core business and sets high standards for herself and others. 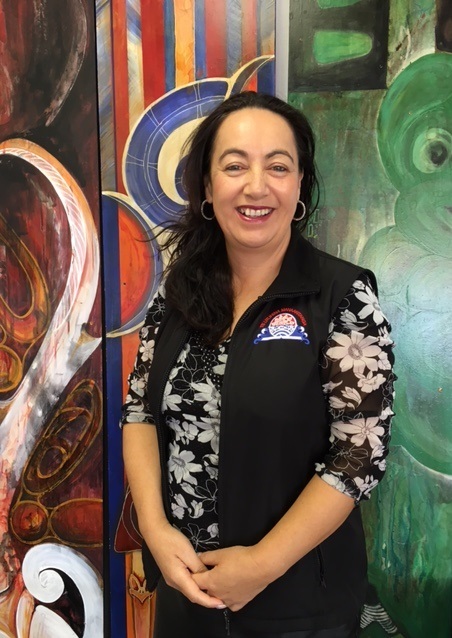 Donna is engaged in local, regional and national fora for addiction and Māori. From the South Island’s West Coast, Donna learnt much from Aunties and Taua (elder women) in the Māori Woman’s Welfare League. No doubt absorbing leadership qualities such as looking beyond the horizon at future directions, seeking new opportunities and innovation, at the same time guiding, enabling and motivating others. Despite a background in the hospitality trade, Donna began work in the AOD sector in 1994 at the Community Alcohol and Drug Service (CADS), Auckland. Over the next ten years, Donna undertook roles with Te Atea Marino, as well as Clinical Supervisor and Clinical Team Leader with other teams. If management is concerned with creating order and consistency to cope with complexity, then being at a large DHB service no doubt helped shape her clinical practice and her understanding of organising people, systems and resources, planning, and problem solving. In 2006, Donna became General Manager for Te Utuhina Manaakitanga Trust in Rotorua. Since then, Donna has grown the service to become one of the largest kaupapa Māori AOD services in the country. As a manager, she is organised, supportive and quality focused1. She is also currently leading collaborative work in the corrections space on behalf of Te Aratiatia (Consortium of Te Utuhina, Tuhoe Hauora and Te Tai Whenua o Heretaunga). One of Donna's passions has been growing people. She has grown the capacity and capability of the workforce at the Te Utuhina Manaakitanga Trust – clinically and culturally demonstrated by being an early adopter of the Takarangi Competency Framework, training by Te Pū Wānanga o Anamata and Moana House Training Insititute. Donna understands the importance of having the right people to do what needs to be done to minimise addiction related harms.